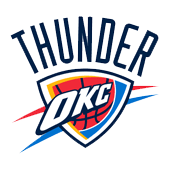 The NBA playoffs are back in on the schedule today as the Oklahoma City Thunder will clash with the Portland Trailblazers in game one of the series. The Thunder are heading into this game after a solid win against the Bucks with a score of 127-116. And on the other side, the Trailblazers won against the Kings with a score of 136-131. The Thunder had a good season so far this year. Moreover, they managed to beat the Bucks in the last game of the season. This may not be an important loss for the Bucks but it is surely an important morale boost win for the Thunder. Another important achievement for this team is that they managed to win their last 5 games which enabled them to avoid the Warriors in this early stage. On the offensive side of the game, the Thunder score an average of 114.5 points per game. Therefore, this record is enough for the 7th spot in the league in scoring. Also, they have an average of 44.7 boards per game combined with 24.5 dimes per night. On the defensive side of the game, the Thunder concedes an average of 111.1 points per game. Therefore, this record is enough for the 16th spot in the league in scoring defence. The Trailblazers managed to secure a playoff spot this season. Moreover, they are heading into this game in a good form as they won their last three games in a row. Therefore, they will have a good momentum heading into this game. This team is good and their winning streak stands at 6 wins in the last 7 games. On the offensive side of the game, the Trailblazers score an average of 114.7 points per game. Therefore, this record is enough for the 6th spot in the league in scoring. Also, they have an average of 44.3 boards per game combined with 25.5 dimes per night. On the defensive side of the game, the Trailblazers concedes an average of 110.5 points per game. Therefore, this record is enough for the 15th spot in the league in scoring defence. This will be a very interesting game as both teams are very similar. Moreover, both sides have a good chance of winning this game. Also, based on their offensive firepower and a defensive score, both teams are heading into this game with an opportunity to take one over the opponent. However, I will take the Trailblazers in this one as their home ground will give them an edge in this contest. 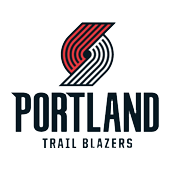 My Free Pick & Prediction for Oklahoma City Thunder vs. Portland Trailblazers 04/14/2019 is: take the Portland Trailblazers -225 (Moneyline).